2. Sort and wash fully ripe cherries; remove any stems and pits. 3. Grind cherries or chop fine. 4. Measure prepared cherries into a kettle. Add pectin and stir well. 5. Place on high heat and, stirring constantly, bring quickly to a full boil with bubbles over the entire surface. 6. Add sugar, continue stirring and heat again to full bubbling boil. Boil hard for 1 minute, stirring constantly. 7. Remove from heat; skim foam. 8. 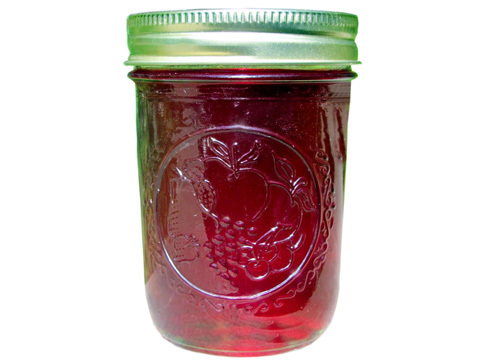 Fill hot jam immediately into hot, sterile jars, leaving ¼ inch headspace.